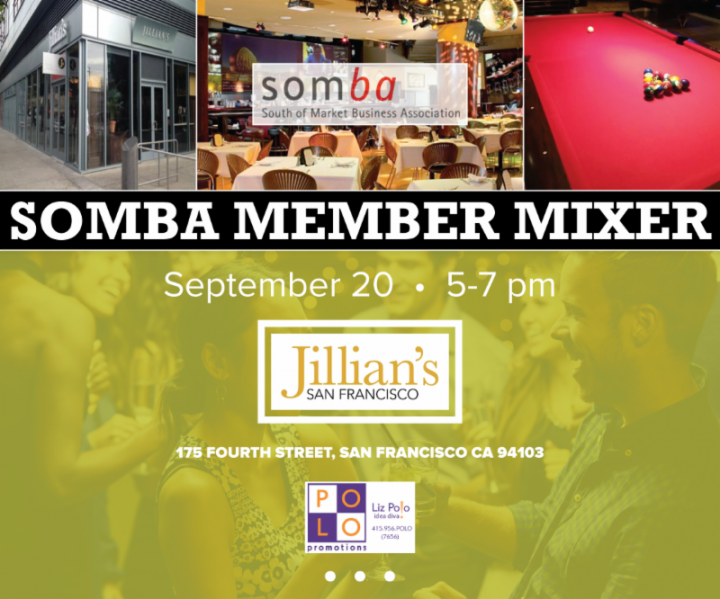 SOMBA | South of Market Business Association – SomBa is a nonprofit working to promote South of Market as a vital place to live, work, visit and do business. 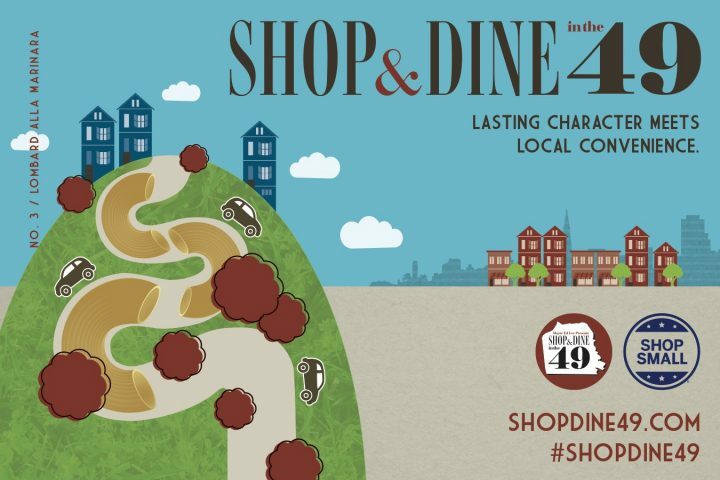 The South of Market Business Association is a nonprofit organization working to promote South of Market as a vital place to live, work, visit and do business. SomBa mobilizes businesses, residents, community groups and government representatives to identify priorities, challenges and solutions to maintain a strong and vibrant community. 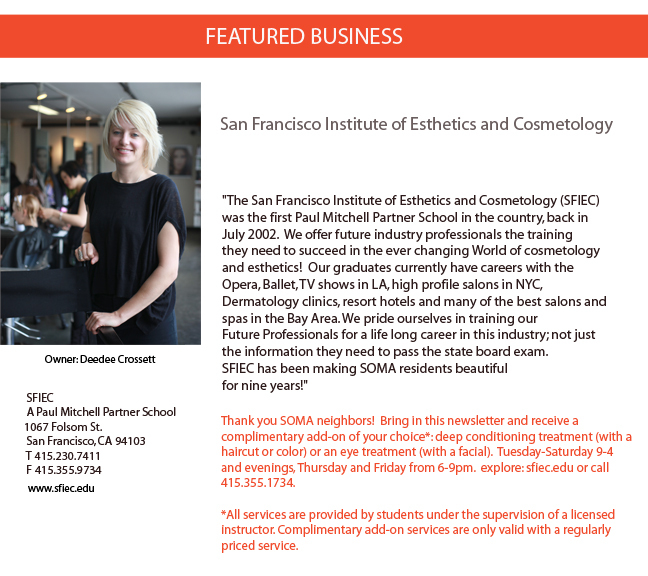 SFDMA’s Annual Gala is May 15th, SomBa is a member participant. 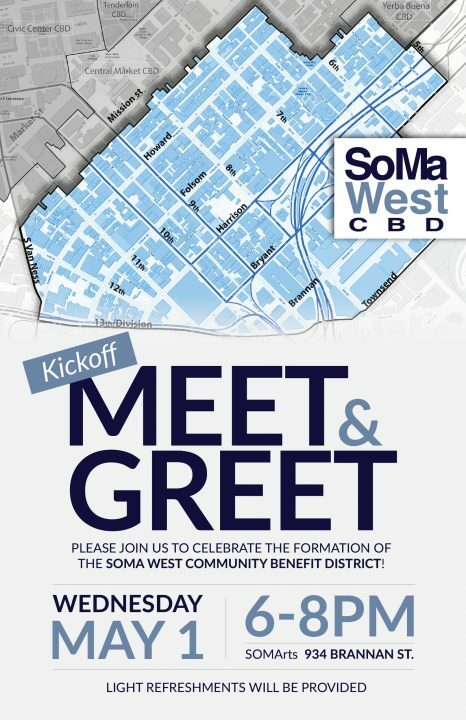 SoMa West CBD has been approved, kickoff event above! Interested in Hosting our next Mixer? Let us Know! 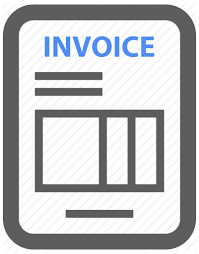 SomBa has emailed current members, past members, and Newsletter subscribers a paypal membership invoice. Thank you in advance for your membership. If you received it in error, feel free to reply by email and we will correct this. Your membership is appreciated! 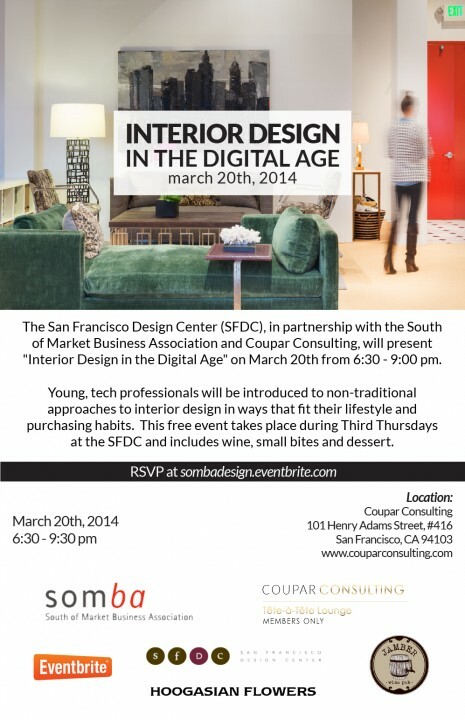 SomBa Featured in SF Magazine, click HERE!